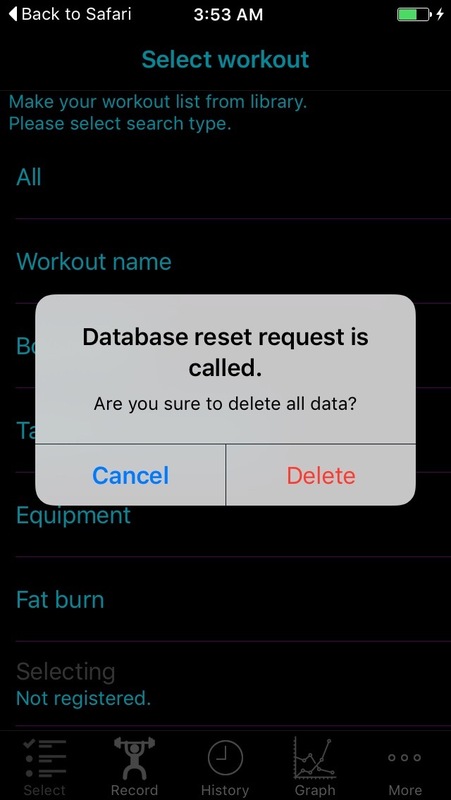 To avoid delete database by mistake, you cannot delete database from app internal menu. To delete all records, open this page from iPhone’s Safari, then please tap here. You will see below alert, then tap Delete. All information (i.e workout selection, workout set, and so on) will be deleted. This operation cannot undo, so please take backup if necessary.